At this point in time, the Detroit Lions’ chances of winning the NFC North are highly unlikely. As a matter of fact, the loss to the Minnesota Vikings last week made the Lions’ probability of winning the division go from 14 percent to 1.6 percent per ESPN. Despite contention for the NFC North being close to over, the Lions’ playoff hopes are still alive. 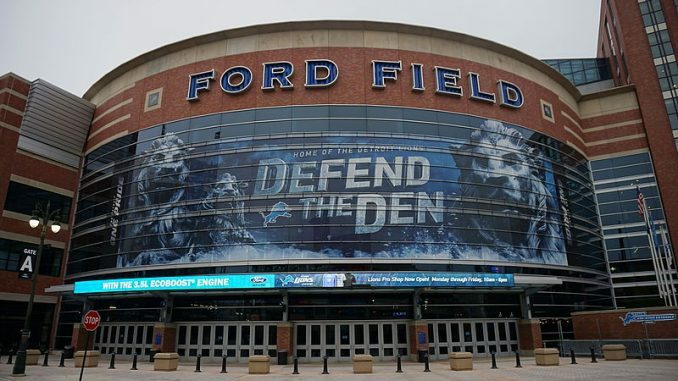 Considering the Lions strength of schedule is to their benefit, there’s legitimate reason to believe the Lions are capable of getting themselves out of their current 6-5 record and potentially improving to 11-5. When it comes to the Lions, it’s not so tough to see what puts them in such close games every week. Some passionate fans love to blame the refs although they are not single-handedly responsible for each of their shortcomings. Other than their devastating 30-26 loss to the Atlanta Falcons during week three of the season, there haven’t been other instances that warrant pointing fingers at game officials. It is more reasonable to point at the terrible run game, bad offensive line and/or mediocre defense. They came into the season with a 3-1 record against the Arizona Cardinals, Minnesota Vikings and the New York Giants, but quickly fell off when real competition like the Carolina Panthers and Pittsburgh Steelers came knocking at their door. As of now, week four stand as the only time the Lions have managed to defeat a team with a winning record (Minnesota Vikings). Other than their run game, the Lions aren’t horrible when it comes to offensive scheme. They’re averaging 26.5 points, 333.9 overall yards and 255.6 passing yards per game which places them as the 14th best offense in the NFL. As for the defense, they don’t rank within the top 20 for any major category. Luckily for quarterback Matthew Stafford and his team, the remaining competitors come down to the Chicago Bears, Baltimore Ravens, Tampa Bay Buccaneers and the Rodger-less Green Bay Packers, all of which have losing records. If by some miracle the Lions run the table by winning four straight and earn a wildcard spot, they will have to eventually face teams like the New Orleans Saints (8-3), L.A Rams (8-3) and, once again, Minnesota Vikings (9-2) which are all teams who rank within the top five best overall offenses in the league. All three powerhouse teams have fantastic passing and rushing attacks which may prove too difficult for the Lions to overcome. In order to have a legitimate playoff run, Stafford will have to tap into his ability to come in clutch despite having a lackluster supporting cast. With 26 fourth quarter comebacks and 31 game-winning drives, Stafford is tied for fifth in most comeback wins by a quarterback. Additionally, Marvin Jones Jr. and Golden Tate will have to drastically improve their performances on the field. Neither receiver ranks within the top 10 in receiving yards and both players are at least 460 yards behind the NFL’s leading receiver, Antonio Brown. Even worse is their atrocious running game. It has been over four years since the Lions have managed to put up 100 yards rushing in a single game. The leading Lions rusher, Ameer Abdullah, has a pitiful 505 yards this season and is averaging less than 50 yards a game. Defensively, the Lions will have to quickly find a reliable second cornerback. Darius Slay currently has a respectable four interceptions on the season, but the Lions don’t have much depth in their secondary. Unfortunately, this far into the season, there is little hope for improvement. Considering the trade deadline was October 31, the only other option comes down to searching through free agency where unwanted and undrafted players remain. Experts are giving the Detroit Lions a 19.2 percent chance of making the playoffs, but if it was my money, they make the playoffs and get shut out their very first game. It’s just a hill too steep to climb, even for the comeback kid, Matthew Stafford. Christian Marquez is a junior from Los Angeles, California. He is an English major with a TESL minor. He is a very opinionated film and music enthusiast who also loves to talk about football.